This week has been our busiest one yet! We had several appointments and practices. I spent the week running the kids everywhere and I am exhausted. Abby Kate will be getting her second set (Phase 2) of (full) braces later this month. She is continuing to rock PT and is getting stronger each day. Joshua is loving ball. Any day that he has off from practice, he spends in the yard practicing. He actually hit 3 balls over the fence in yesterday’s team practice! Jackson is still doing a great job with piano lessons and loves it. I spent most of this week getting ready for a yard sale. I think that we did pretty well, but it was exhausting! I have my meals planned for the month of April and will complete my calendar tomorrow. I am still loving this plan. I do not always stick to it and that has freed me up a bit. Some mornings I just need a little extra sleep, so I might opt for an easier breakfast that was planned for the week. We’ve also run into appointments overlapping or running late into the afternoon, so we just switch our meals around or we grab something quick. I’ve also realized that getting a meal together for a Sunday lunch after an all day baseball tournament is just not feasible. Unfortunately, I have not cut down on my grocery trips and the budget. It seems to keep going up. I am amazed at the amount of food the kids will eat. Sometimes after a full meal, they go to the pantry for something else. I am constantly having to restock the pantry and the refrigerator. I love this time of year, however, we’ve all suffered with our allergies acting up. We’ve been going through the essential oils like crazy. 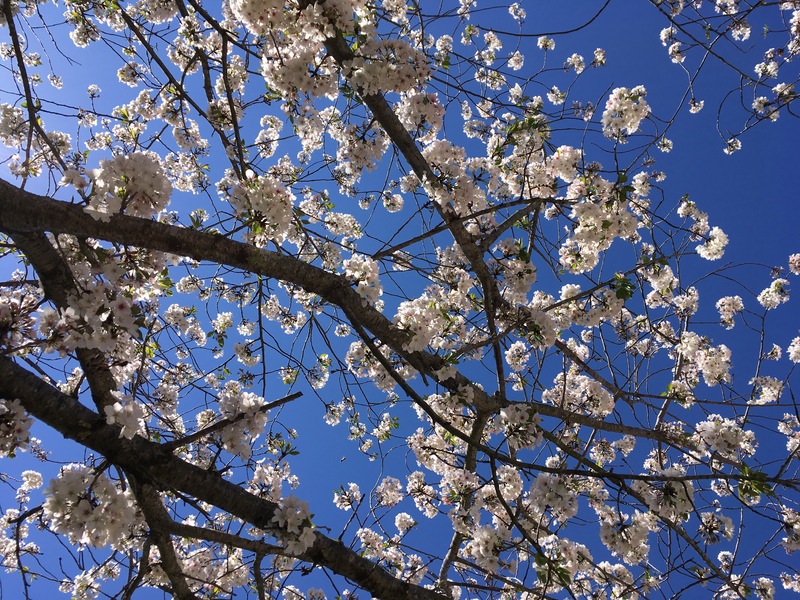 I was able to get a picture of one of the cherry trees outside of church today. I just love the spring flowers and beautiful trees. 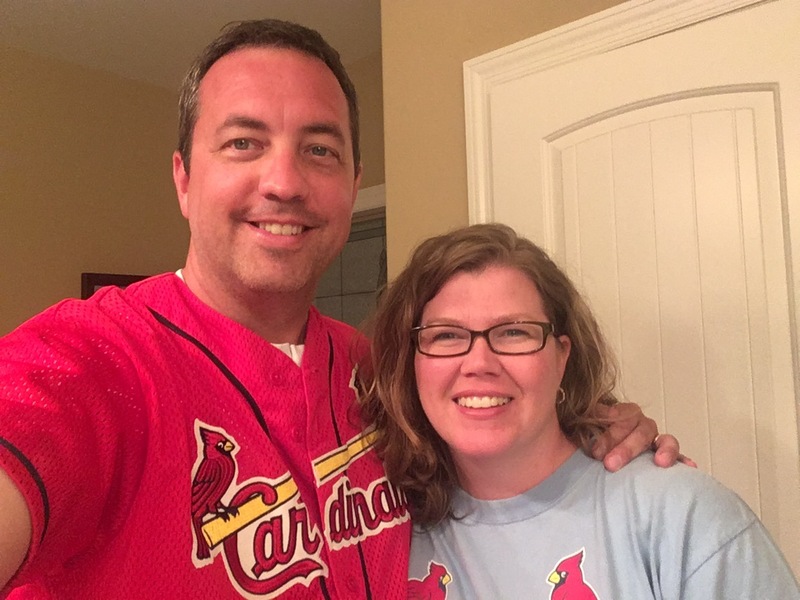 We are enjoying seeing our Cardinals play ball tonight. I love the game of baseball and I am happy to see the game return!